Santa Barbara, California is one of the most beautiful cities in the world. If you've been there, you know. And I don't just mean beautiful climate, I mean a beautiful city. Beautiful buildings, beautiful streets. And the reason for it is simple - lots of really, really, wealthy people live there. 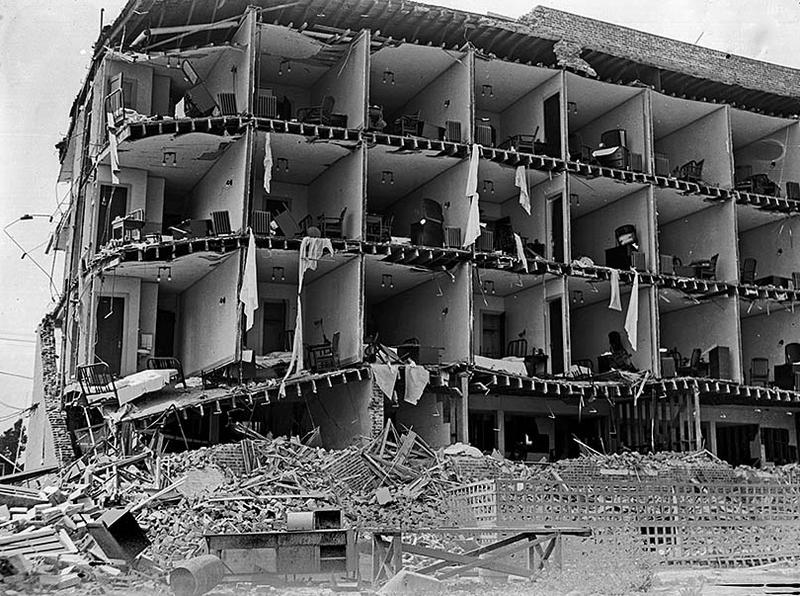 It all started with the Santa Barbara earthquake of 1925, which pretty much destroyed the city. 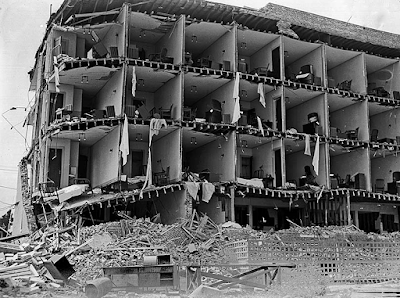 And when the rubble was cleared, the suggestion was to make the city beautiful. By then a lot of wealthy people were living there, and they didn't just want beautiful homes, they wanted the whole city to be beautiful. And so it was rebuilt according to the standard of beauty of the day, which was called "Mission Revival". And so they threw a LOT of money at beautifying their city. 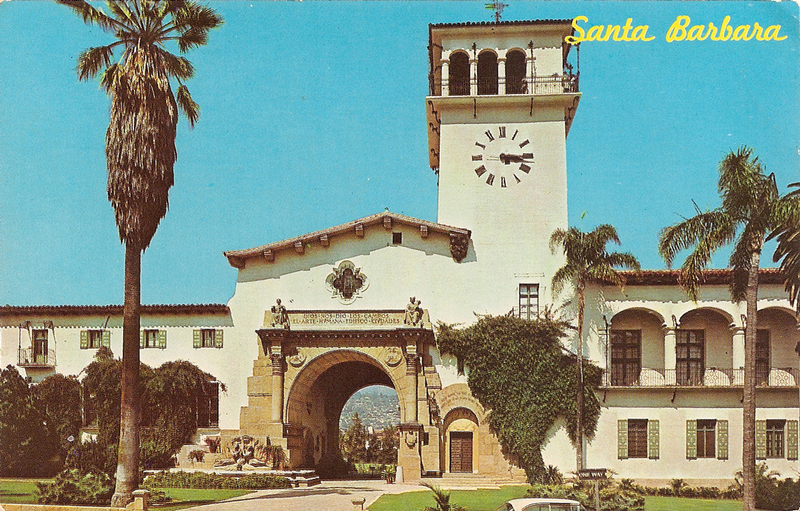 Take a look at the Santa Barbara courthouse at the top of this post. 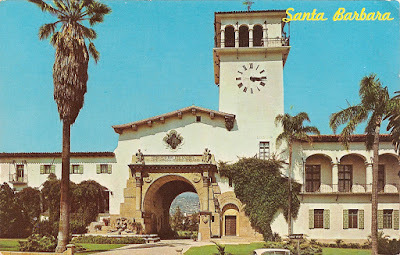 Google images of Santa Barbara, it's spectacular. Of course "Mission Revival" is just a fake type of architecture, but it's something that people still like. Mission Revival was supposed to be a romantic version of the old Spain of the 1800s, with courtyards, tile roofs, that sort of thing. I'm sure that a lot of people in the 1920s thought that it looked pretty fake, but people got used to it. And over the years they wanted to hold onto it. When I lived in Santa Barbara, in the 1980s, I was puzzled about how so much beauty had persisted. In Los Angeles, it was so crowded with doughnut shops and condos that you could hardly breathe. If a house had a particularly large yard, the next time I saw it, there would be three more houses built there. I'm referring to the northwest corner of Mason and Runnymede, which you can do a Google street view if you want to. Houses and buildings were just being jammed in. But Santa Barbara was different. And someone explained to me it had to do with a very strict building code, and the difficulty of getting a water hookup for a new house. This, of course, drove the rents sky-high (that's why I had to leave!) but it all makes sense when you understand that Santa Barbara is a city for wealthy people. I know what you're thinking - what about corruption, greasing palms, getting variances, like they did in L.A.? But consider that these things don't sway most wealthy people. Of course there are the type of wealthy people who would do anything for a couple more bucks, but the Santa Barbara wealthy people couldn't be bought for a few extra bucks. They had all the money they needed, and more. They were willing to pay for a beautiful city.